John Tesar has a lot of opinions. And whether it’s a 3 a.m. expletive-filled tweet directed at a food critic or an interview dishing on his old pal Anthony Bourdain, the Dallas-based chef — who slings 420-day-aged steaks at his acclaimed restaurant Knife and is preparing to publish his first cookbook — isn’t shy about expressing them. 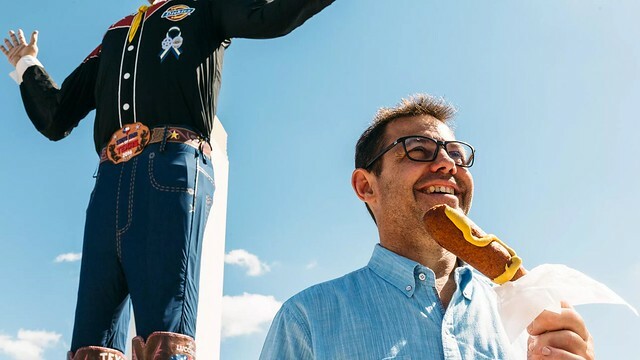 So who better to offer a critical evaluation of the weird and (sometimes) wonderful deep-fried foods of the State Fair of Texas? 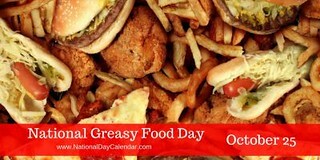 As we debate the delights of the deep-fried bacon burger on a stick, we might note with relief that today is National Greasy Food Day.